Anyone would think that national news, especially when it comes to talking about the property market, is just focused on London. 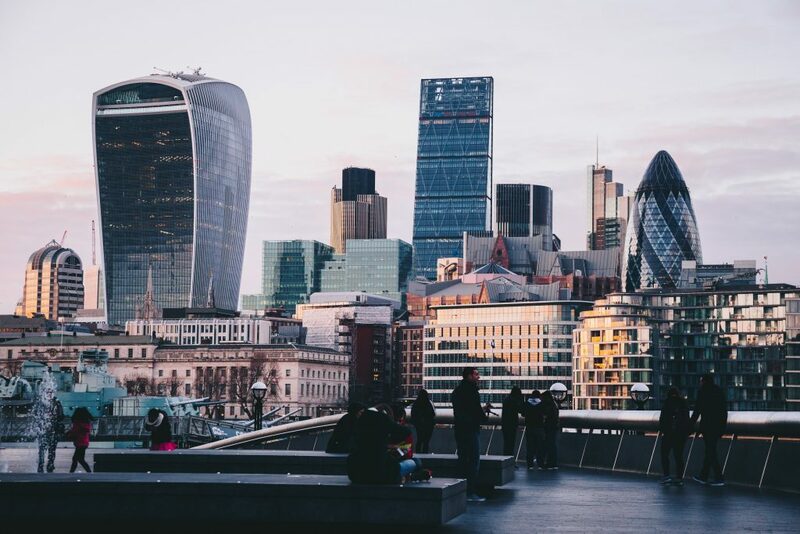 In fact, over the last five years, the London property market has really manipulated the UK on averages to such an extent that many lenders like the Halifax and Nationwide publish two indices, a national one without London and one with. Now it’s true the London property market has undergone some quite acute property price falls. In the upmarket areas of Mayfair and Kensington, the Land Registry has reported values are 11.3% lower than a year ago, yet in the UK as a whole, they are 1.3% higher. Yet look around the different areas and regions of the UK and Northern Ireland, property values are up 5.8% year on year, while over the same time frame, the East Midlands is 3.9% up and Yorkshire is 3.7% up. So, what exactly is happening locally in Frodsham and what should Frodsham landlords and homeowners really be concerned about? See how the growth of that £100 was broadly similar between 1979 and 2007 on all three strands of the graph, and then we had the credit crunch drop between late 2007 and 2009? However, after 2009 London went on a different trajectory to the rest of the UK. While Frodsham (and the UK) were generally subdued between 2009 and 2012, London kicked on. All areas of the country had a temporary blip in 2012, while Frodsham and the UK went up a gear again in 2013, London went into overdrive and up like a rocket! Now you can see London has dipped slightly in the last year, so the hot question for everyone has to be – are price falls likely to spread (as they did in the previous property recessions of 1989 and 2007) to Frodsham and other places in the UK? The Bank of England’s opinion is that a London house price drop is unlikely to be the beginning of a countrywide trend. Looking at the graph again, it can be seen London has been in decline for two years, while the rest of the country has been moving forward. So, what does all this mean for Frodsham homeowners and landlords? Property has in the long term been a good bet. Yes, we might have some short-term blips and as long as you play the long game – you will always win. In the short term, my concern isn’t over monthly up or down property values, Brexit or another general election. With property values still rising faster than salaries in many parts of the country, what really matters is how much of householder’s take-home pay goes into housing costs as opposed to other spending items. If housing gets too expensive – other things will suffer, like holidays and the nice things in life to spend your money on. Only time will tell! P.S. 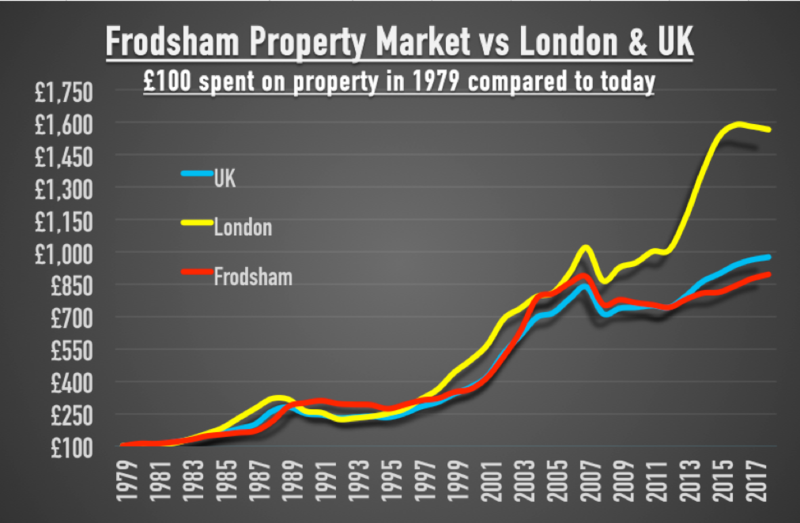 Wonder what that Frodsham terraced would be worth if it had gone by London house prices? Here’s your answer – £299,010. This news article was published on Thursday, March 28th, 2019 and is categorised under Frodsham & Helsby Property News. You can skip to the end and leave a response.